The Crazy Cave Activity Centre is Co. Kerry’s number 1 house of fun. Located in the world famous Crag Cave Visitor Centre, Crazy Cave covers 2 floors and has a wide range of fun filled areas. An all weather location Crazy Cave is ideal for children up to 12 years of age and is fun and healthy! This year there is the opportunity to share an Easter Breakfast with the Easter Bunny on Easter Sunday & Monday at 11am. It includes kid’s breakfast, Easter Bonnet making with the Easter Bunny, play time in Crazy Cave & an Easter Egg for every child. The price is €10 each & it does need to be booked in advance as places are limited. 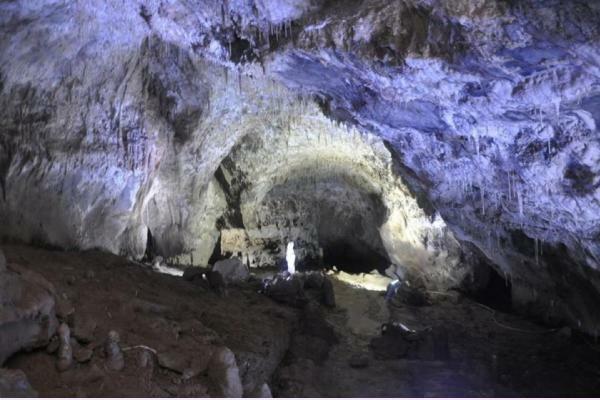 Fun.ie Top Tip: Try to take the Cave Tour if you have time – there is an extra cost but it’s well worth it! 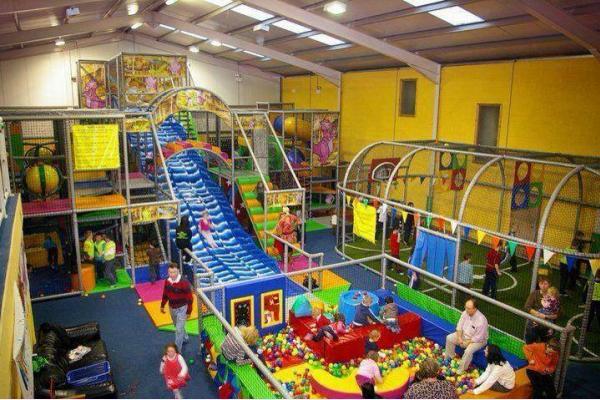 Kids of all ages enjoy the Mega Slide, indoor sports court, climbing frames, ball guns, Crazy Maze, rope bridge, spiral slide, ball juggler and ball pools.Suitable for children from 0 – 12, there is something fun for the whole family!Important: All children must be supervised and wear socks. Crazy Cave hosts Toddler Mornings on weekdays during the school term. Admission is only €5.00 and includes juice and biscuits. No Mess, No Stress, Just Bring The Kids and We'll Do The Rest! Arrange your next child’s birthday party in Crazy Cave. Enjoy the day with all of your requirements catered for – Hot & Cold Food, Birthday Cake, Entertainment, Goodie Bags, Photo, Souvenir and Catering. Save time, money and stress! For information on Group Admission prices please contact Crag Cave. Choose from a select menu of light lunches, home-made baking and special signature dishes. Fresh local produce is prepared in our kitchens daily and available throughout the day. Select a coffee, latte or cappuccino and relax in our Conservatory. Mull over mouth watering cakes, pies and home baking. For something more, try a dish from our lunch menu with homemade soup, paninis, ciabattas and wraps. Selection of hot dishes available daily.